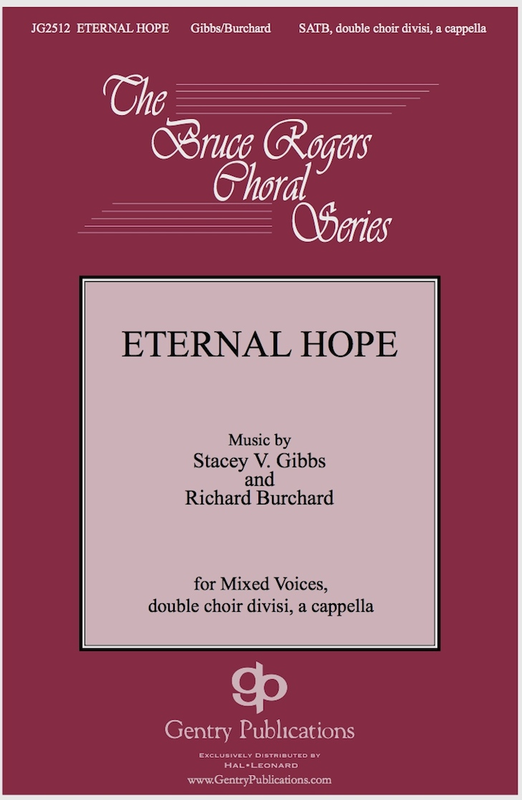 Eternal Hope for SSAATTBB A Cappella Choir. Collaborative composition with Stacey Gibbs. Written for the Mount San Antonio Chamber Choir, Bruce Rogers, director. World Premiere: Mount San Antonio Chamber Choir in Trinity Church, Minneapolis, MN at the ACDA National Conference.